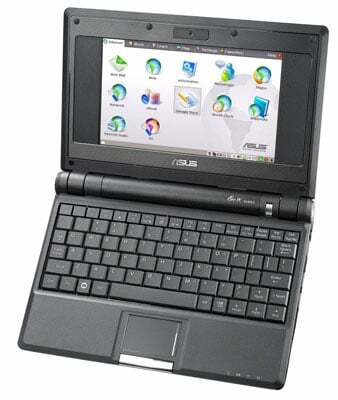 Buyer's Guide Since Asus launched the Eee PC 701 in October 2007, many notebook makers have hopped on the Small, Cheap Computer bandwagon, a fair few of them pushing the limits of the format's size and price in the process. The arrival of Intel's Atom N270 processor in June this year kickstarted this profusion of SCCs, and it remains the CPU on which most of them are based. But whatever processor a manufacturer has picked, there's much commonality among SCCs. Memory card slot, two to three USB 2.0 ports, 10/100Mb/s Ethernet, webcam, VGA and 802.11b/g Wi-Fi - these are standard on all SCCs. The most common screen size is 8.9in, and while there are bigger, 10.2in models out there, they all have the same 1024 x 600 resolution as the smaller models. For us, the extra inch makes no appreciable difference to legibility, but it does mean the laptop is physically bigger. Hard drives can expand waistlines too, and we'd argue that the solid-state drive is what the SCC is all about: capacity enough for the OS and a sub-set of your data, with the resilience you want from a throw-around machine. That said, there's no arguing that a hard drive will give you a true laptop-like storage capacity. 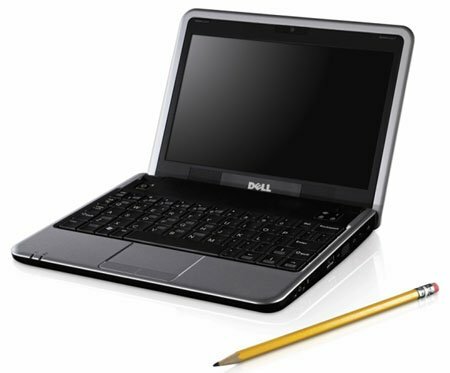 Dell's Mini 9: the most eagerly awaited SCC? Almost all SCC suppliers offer a choice of Linux or Windows XP. The Microsoft OS has the advantage of familiarity, and some hardware won't hook up to Linux SCCs as easily as it will to an XP machine, at least not without some under-the-hood knowledge of the operating system. But the open source OS makes for cheaper machines, and since the SCC is designed for simplicity, their basic, kid-friendly UIs are sufficient for all but the most demanding user.